She endured a midlife crisis and came away from it an author. 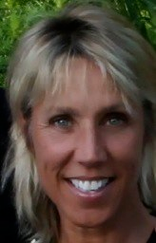 Lindy Hughes, incredible mother, wife, and ballet teacher turned novelist, is my subject today for Motivational Monday. Every parent of daughters west of the Rockies has heard of her extraordinary prowess as a ballet teacher. Her South African accent combined with her love for fairies has little girls falling over themselves to get into her class – they are legendary, and each of my three girls were lucky to be her students. But her rock star status amongst the five year-old set couldn’t insulate her disappointment that so many go through in their forties. She had never planned on getting married and having children, yet had done so and it naturally consumed her life. As Facebook launched and peers around the world caught up with her, she was mystified by her answers to what had become of her: how different they sounded from her grand plans of being a penniless writer. Completely distraught, she had a very honest conversation with her husband, telling him she wanted to leave, that this life wasn’t intended for her. He asked her what her ideal life would look like. I would be starving, sleeping on a floor somewhere in Paris, and writing, was her reply. He pointed out she could do that here, in Vancouver, in their home. Sleep on the floor too if you want, but I’m not going to join you. She agreed he had a point, there was nothing stopping her from writing except herself. For the next three months, she wrote a fictional story about a middle-aged South African emigrant mother named Lucy who has an affair with her first love in the midst of a mid-life crisis. The story, she says, literally poured out of her. 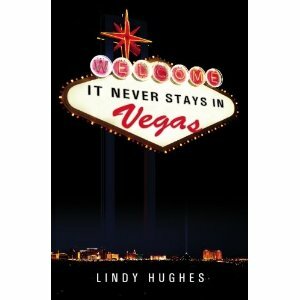 Written with self-deprecating humour and just the right amount of poignancy, she self-published her book, It Never Stays in Vegas, through Amazon. My book club read it, and Lindy gamely attended our meeting. Over wine and dinner, we barraged her with questions about the book, lobbing tougher questions as the wine flowed. She answered all of our questions in a straightforward manner, dealing with criticism as well as compliments. It was our best meeting ever, consumed not only by the book but also grander conversation about life and its challenges. She is in the midst of finishing her second book, Tutus, Tiaras and Tassels. This one is non-fiction, and is a collection of essays about lessons learned from the dance studio. Where Lindy is concerned, there is never a dull moment, and I am anxiously awaiting its release. Suffice to say this woman has chutzpah, but I can’t give anything else away. I salute you Lindy, for making lemonade when life gave you lemons, for your fresh perspectives and your unflinching honesty, but mostly for going after your dream. Oh, I am excited to check out her books! It sounds very different from Vegas, but promises to be entertaining. This woman sounds amazing! And I have not read her book. I always love to discover a new writer. Thanks for this compelling and inspiring review, Deanna!